Sometimes, there are minor problems with self-recorded audio files, but these are relatively easy to fix. Issues that might require fixing include background noise and extraneous sounds which are audible during the pauses, as well as poor recording quality. There are many audio editing programs available. You can choose any one of them. 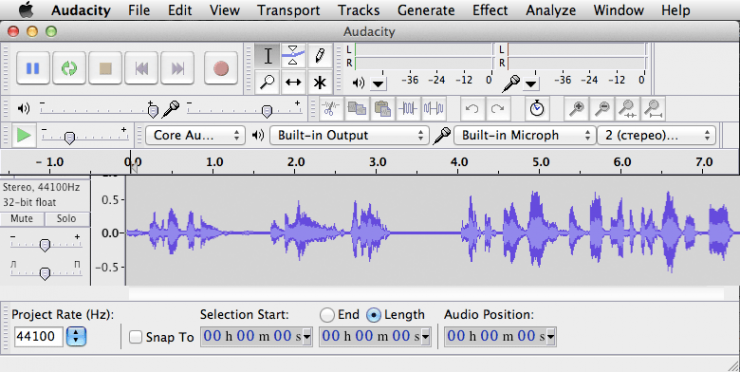 For this example, we have chosen Audacity, a free, but sufficiently functional program. Download and install this program. The installation guide for Audacity is included in the distribution package. The additional modules may be needed if it becomes necessary to edit audio files in different formats or export the edited audio to mp3 format. Find the module name among those listed below and download it. ffmpeg-mac-2.2.2.zip (version for Mac OS X). 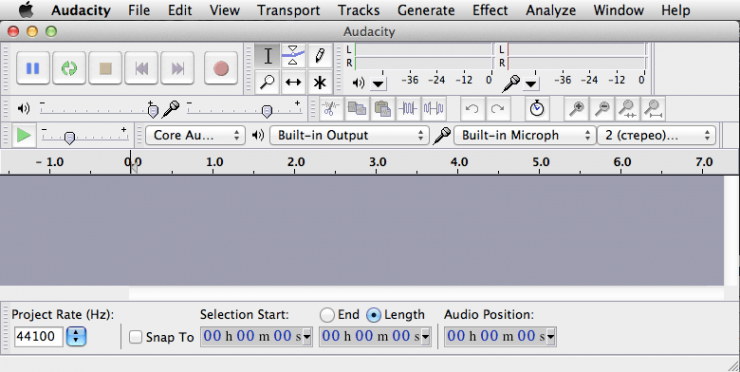 Below, you can see the interface of the Audacity program after the program opens. Frequently, during the pauses in an audio recording, you can hear background noise, such as the sound of the microphone or computer fan. 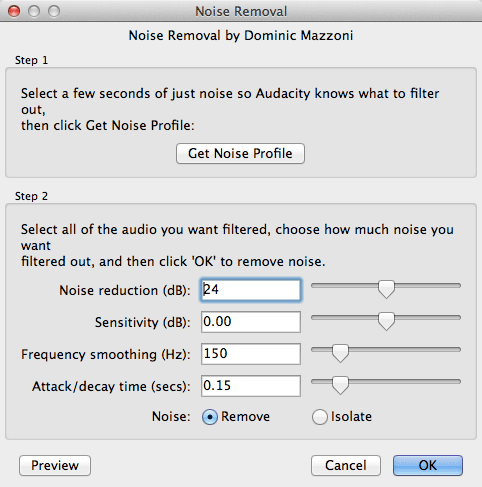 The method described below will enable you to remove the background noise from the audio recordings. Important: if the audio file contains a lot of noise, removing it may significantly reduce the quality of the main recording. In such a case, the audio file should be re-recorded. 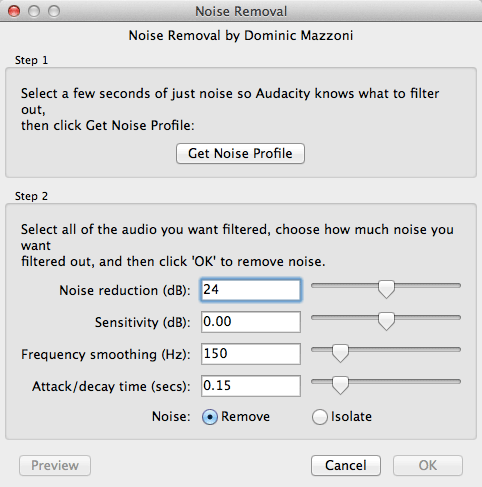 The noise removal process consists of two steps – creating a noise profile and removing the noise using the created profile. In the window that opens, click on Get Noise Profile. 2. Reducing noise using a profile. in the window that opens, click on OK.
Often, during pauses in an audio recording, background noises can be heard, such as the rustling of pages, coughs, a phone ringing, etc. It a foreign sound is heard only in the intermittent space, then it can be suppressed, thus eliminating the need to re-record the audio file. This is achieved by reducing the signal to zero in the selected audio fragment. 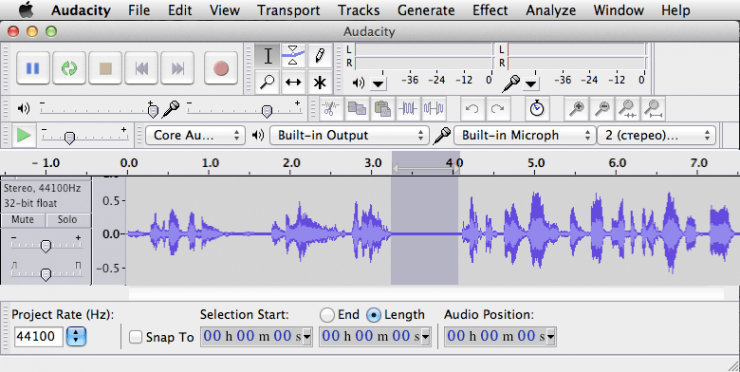 Audio stories can be recorded at different times and under different conditions, which can lead to different recorded files having different volume levels. 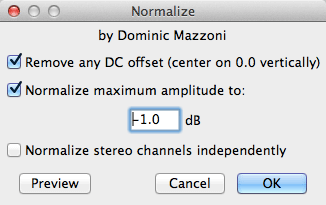 In order to standardize the volume, you need to perform a normalization procedure. Important: amplifying a weak signal will also amplify any noises. Therefore, if the voice on the tape sounds too quiet, you should record the audio again, having placed the microphone closer to the speaker or having increased the recording level. 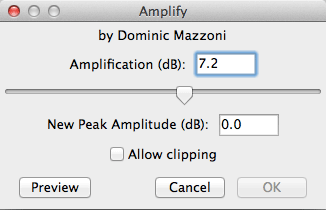 The required increase in volume is determined automatically by the program, so there is no need to adjust the settings in the Amplify window. Important: When changing the volume of individual audio fragments, it is difficult to achieve a uniform volume for vocal tone throughout the audio recording. Sometimes, it is easier simply to re-record the audio. Fragments of audio recordings can be deleted when removing intermittent background noise from soundtracks or to shorten lengthy pauses. To remove a fragment of the audio file, select it with the mouse, and then click on Delete. The selected fragment will be deleted from the audio file.